SINN FÉIN LEADER Gerry Adams has said that Sinead O’Connor should go to An Garda Síochána with her allegations that she was repeatedly sexually molested by a member of Sinn Féin when she was a child. In an open letter to abuse victim Maíria Cahill in last weekend’s Sunday Independent the singer said that she was “repeatedly sexually molested as a child in the 1970s by a member of Sinn Fein”. O’Connor said she was certain she was not the only victim of the man who she said is now dead. “She needs to go to An Garda Síochána if she hasn’t already done so. That’s all we beseech anybody to do who makes such an allegation,” Adams told reporters when asked about the issue at Leinster House today. O’Connor revealed she had applied to join Sinn Féin last week with the party saying that her membership was being processed but that it looked forward to working with her. The singer did call for Adams to step down as party leader, saying the “elders of Sinn Féin are going to have to make ‘the supreme sacrifice’ and step down” in the same was as Pope Benedict XVI in 2013. Adams said today that O’Connor’s application to join the party was “still a work in progress at this point”. 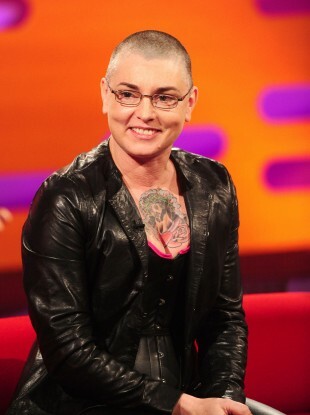 Email “Gerry Adams says Sinead O'Connor needs to take Sinn Féin abuse allegations to gardaí”. Feedback on “Gerry Adams says Sinead O'Connor needs to take Sinn Féin abuse allegations to gardaí”.